Wondering where to eat or how to minimize the wait? Dreaming of a theme park visit but dreading not being able to find a shady place to relax? Towing lots of little ones with no idea of where the best viewing place is? Here are some tips and pointers to maximize the fun, courtesy of the experts at Walt Disney World Press Relations. Walt Disney World theme park hours fluctuate in accordance with anticipated 'busy-iness'. Extended hours – sometimes as late as 11pm or midnight – are set for peak vacation times, typically when most children are out of school for longer periods during the summer, at Thanksgiving, Christmas and Easter. Typically, the busiest days in the Magic Kingdom are Monday, Thursday and Saturday. The busiest days at Epcot are Tuesday, Friday and Saturday. At Disney's Hollywood Studios, the busiest days are Sunday and Wednesday. 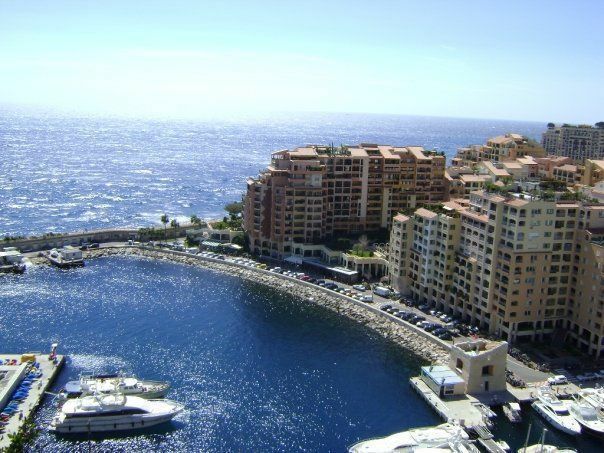 Strategically plan your stay in order to enjoy the maximum number of attractions. What Time is the 3 o'clock Parade & Other Show Information? Live entertainment in all four theme parks is ever-changing. Weekly show schedules are available at information locations: City Hall (Magic Kingdom), Guest Relations (Epcot and Animal Kingdom) and Guest Services Building (Disney's Hollywood Studios). Tip boards are located in all four theme parks which provide up-to-the-minute reports on showtimes and waits. The boards are located on Main Street, U.S.A. near Coke Corner in the Magic Kingdom, on Hollywood Boulevard near the entrance to Sunset Boulevard at Disney's Hollywood Studios, in the southwest quadrant of 'Innoventions' Plaza near the Future World Fountain at Epcot, and on Discovery Island at Animal Kingdom. Mickey's Toontown Fair at the Magic Kingdom is the place for meeting favorite Disney characters. This special 'land' offers photo and autograph opportunities with up to a dozen characters — all in air-conditioned comfort. Walt Disney Travel Company has vacation packages admitting guests to Disney's Hollywood Studios, Epcot, Animal Kingdom and the Magic Kingdom an hour ahead of general opening on certain days of the week. Information may be obtained while staying on Disney property at Resort Guest Services locations, or by calling 407/824-4321. Central Florida average daily high temperatures range from 70°F to 90°F depending upon the time of year. Cool, comfortable clothing and sunscreen are two ways to beat the heat. During periods of extended theme park hours, guests may want to arrive early and exit the theme parks during 'high day' to head for the water parks. Remember: get a handstamp for later theme park re-entry. Arrive early at Epcot and walk past the queue-up for Spaceship Earth. Head for the heart of Future World, making your first destination 'Innoventions.' This is one of the favorite Epcot attractions, and showcases products for the near future. Children are captivated by the numerous hands-on activities. World Showcase typically opens at 11am. See this section of the park later in the day. Figure on two days to experience all the Epcot adventures, including the many horticultural wonders. Each season, a fantastic new nighttime spectacle featuring hundreds of thousands of twinkling lights, special music and optical effects, is presented along the Magic Kingdom parade route. Viewing hint: prime locations tend to be more accessible for the late show when the parade is presented twice nightly. Another hint: while many guests are enjoying the early parade performance (9pm), many favorite attractions may be more readily accessible. At 1.3 miles, the picturesque promenade walk around World Showcase Lagoon at Epcot is a favorite stroll. Comfortable footwear is a must. Dining choices abound (there are more than 6,000 menu items served at Walt Disney World food locations), but early-day reservations can mean the best selection of meal times and culinary options. Guests staying in Disney resorts may call 407/WDW-DINE to make dining reservations in advance. Guests with disabilities find easier access at Walt Disney World theme parks, transportation facilities and hotels due to a variety of services and facilities. The "Guidebook for Guests with Disabilities" provides a detailed overview of services and facilities. Guests can obtain a copy at wheelchair locations, ticket windows or any Guest Relations location. 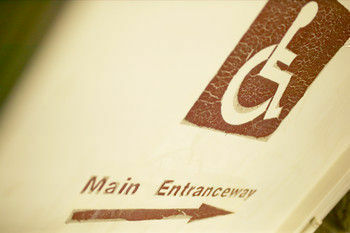 Symbols are used in the Guidebook for Guests With Disabilities to designate boarding procedures for disabled guests. Accessibility varies from attraction to attraction. Some attractions accommodate guests in wheelchairs throughout the designated attractions. Other attractions accommodate guests who, with the assistance of a member of their party, are able to transfer to the ride vehicles. All Disney resorts have wheelchair-accessible rooms, and several resorts offer roll-in showers. Closed-captioned television also is available in all Disney hotel guestrooms. Rest rooms at the parks have facilities designed for access by wheelchairs. For special needs, private facilities are available at First Aid Stations and at special 'companion restrooms' in each park. Braille guidebooks and the use of CDs and portable CD players are offered at all parks to assist guests during their visit. Service animals are allowed in most locations throughout the theme parks. Contact Guest Relations for assistance. Park-goers can avail themselves of sign language interpreters, assistive listening devices and special captioning that allows individuals to view text through a small Plexiglas window at their seat. Telecommunications Devices for the Deaf (TDD) may be utilized by callers for reservations (407/939-7670) or information (407/827-5141). Guests can bring their own wheelchairs or rent one at any of the four theme parks. A limited number of Electric Convenience Vehicles are available at the parks on a first-come, first-serve basis. Strollers are also widely available. Phones which guests in wheelchairs can easily reach are located on Main Street in the Magic Kingdom and throughout the three other parks. TDDs are available at Guest Relations. Most shops and restaurants are accessible by wheelchair. Guests can board the monorail by proceeding up the entrance ramp. At Epcot, Disney's Polynesian Resort, and Disney's Grand Floridian Resort & Spa stations, an elevator provides access to the monorail platform on the second floor. Many of the buses and water craft also are able to accommodate wheelchairs. All four theme parks offer special medical/disabled parking lots. Guests should inquire at the auto plazas for specific information. Walt Disney World Resort was recognized for its efforts to increase accessibility for people with disabilities with the Chairman's Award presented by the U.S. Architectural and Transportation Barriers Compliance Board. For more information, call 407/824-4321. For information via TDD, call 407/939-5141. Walt Disney World's facilities are all connected by a network of convenient transportation free to guests, including buses, water launches and monorails. General guest information is available by writing to Guest Letters Dept., P.O. Box 10040, Lake Buena Vista, FL 32830-0040. Or, call 407/824-4321 or visit our home page at www.disneyworld.com.